CD reviews: "The Psychic Horns," "There Goes the Neighborhood," "Juba Collective" and "The Recline"
If you want to know what the Psychic Horns sound like, think Tower of Power meets Weather Report. They have monstrous chops, and play jazz with a sunny disposition  yet there's nothing lightweight about it. Built around the trumpet, reeds and trombone of John Allmark, Dan Moretti and John Wheeler, respectively, the Psychic Horns are at heart a funk band. They employ a four-man rhythm unit that underpins everything they do with a meaty back beat  but their horns provide both the lead solos, as well as the comping that rides atop the rhythm. Allmark and Moretti also wrote most of the songs here  seven of the 11 tracks. They're fun, accessible, and still have plenty of room for stretching out on solos. While the Psychic Horns are a funk band, they definitely inhabit the jazz side of the neighborhood. They're closer to Les McCann than the Ohio Players, anyway. And there are swaths of the blues and bop to be found here as well. 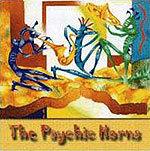 Still, sometimes you need some jazz you can dance to  and for that, the Psychic Horns know just what you want. San Diego's Robert Walter plays music that is impossible to categorize. It's definitely contemporary  you're more likely to find him headlining at the city's top punk/alternative club, The Casbah, than at any of the city's jazz digs, yet he employs such respected sidemen as Big Band veteran Red Holloway on tenor sax. He appeals to Southern California's dance crowd more than the jazzheads, yet fills out the band for his latest release with Phil Upchurch and Harvey Mason on his rhythm section. The opening track on this newest release, "2% Body Fat," is the most stylistically experimental  a kind of 21st Century electrofunk. Walter's electric piano takes the lead, and while there's no strong melodic theme, there are five minutes of intriguing flourishes. It's the second cut, "Bread and Water," which is the most interesting  it sounds like a Quincy Jones theme song to a lost 1970s television series starring Redd Foxx or Bill Cosby. It's got that funky beat going (with some great Latin percussion by Chuck Prada), a great sax solo by Holloway, and an instantly memorable melody. If Walter breaks through into radio airplay, this is the song to take him there. The title track features Walter moving to the Hammond organ, and capturing a Reuben Wilson funk-blues groove. Elsewhere he shows a deft touch on the nearly forgotten (but still oh-so-hip) Fender Rhodes as well. On "Swap Meet" (what SoCal residents call their flea markets), Walter and band take a simple little theme and work it up into a decent little jazz number  and Walter even plays some acoustic piano. It would seem there's not much with keys he can't play  can the clavichord be far behind? Holloway's solo here is another gem. Holloway finally steps forward and simply takes over on a stupendous cover of Willie Dixon's "My Babe"  just blowing the hell out of his horn. The rest of the band struggles to keep up, but that's the price of having Holloway sit in on your session! Walter doesn't seem to have yet figure out just where he's going with his music  but his willingness to surround himself with established veterans, his ability to write intriguing new songs, and the pure ballsiness of his chops promises some exciting times ahead. The JUBA Collective is a Chicago-based combo hell-bent on exploring all the possible combinations of music, voice and dance. Their first release shows a near-perfect balance between the different forms. There's a hip-hop/house beat to get the feet moving (and shoulders, back and hips for that matter), there's both rap vocals and spoken-word poetry, and there are some very impressive jazz solos. It's kind of what The Jazzhole was aiming for in the late '90s, but the JUBA Collective takes it even further, smooths out some of the seams, makes the integration fuller, more organic. Reading the liner notes from the band, you might get the idea that this is some sort of intellectual exercise. And maybe it started there, but it's not where they're at now  this intoxicating brew is what it is, and never mind the theories that may have distilled it. 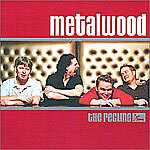 Metalwood's been around a few years now, but sound like they've been together forever. Playing a fully up-to-date funk-jazz informed by both alternative and rap, its members also write new songs that have a timeless quality to them. What's the difference between acid jazz and funk jazz? Acid jazz usually has sampling, and Metalwood seems to use all original licks. But the dance-ready beat is there  think of '70s funk bands like War (especially their "Platinum Jazz" album) or Tower of Power. There are long saxophone and trumpet solos mixed in with some scratching, plus John Scofield sits in on guitar on four tracks. It all adds up to a likeable, listenable music that is both breezy and meaty, as much jazz as it is dance-hall.